Hey everyone, Clark here from Self Help Books. And today, I would like to discuss with you the mental and health benefits of meditation. I touched a little bit on that in How to Meditate for Beginners but I would like to expand on it here. Let me begin by saying the benefits of meditation are astonishing. Over 3000 scientific studies have been performed at independent universities and research institutions since the 1970s, and they have found meditation to be a very powerful tool. The most obvious benefit of meditation is the release of stress, anxiety and worry that it brings. Allowing a period of time to quieten the mind enables you to let go of those states of mind. 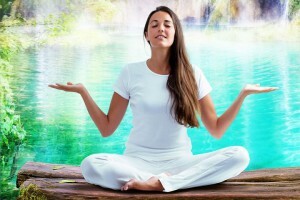 Meditation also lets you enter a DEEP state of relaxation in both mind and body. This could lead to a really GREAT night’s sleep and you waking up refreshed. A regular meditator can expect the benefits of meditation to continue for many hours following the session. The calm and focused state of mind achieved during meditation will often last for the remainder of the day. Serotonin, the “happiness hormone”, levels increase during meditation. This helps to elevate mood levels INSTANTLY. And, well, isn’t happiness ultimately the reason we want health and success and wealth? Meditation quiets the mind, thereby allowing us to gain control over our thoughts. Any negative conditions in your life are the result of past negative thoughts, so this is one of the most important benefits of meditation. Most self-help practitioners practice DAILY meditation. It is the best way to gain control over our thoughts. Lots of self-help books tell you to visualize your desire in DETAIL in order to manifest it into reality. The problem is when you close your eyes to visualize you may find your mind wandering everywhere, as what happened to me! Meditation is a great way to clear the mind and sharpen your concentration, perhaps even to the point where you are able to manifest your desires VERY quickly!!! Few people are aware that an experienced meditator could access deeper states of mind, and unlock dozens of BRAIN POWER and HEALTH benefits. 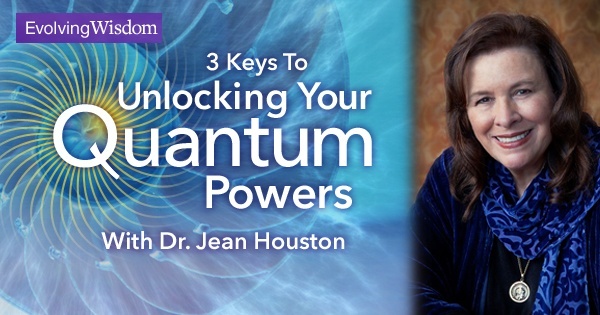 Faster learning, better memory, creative problem-solving, heightened imagination, intuitive insight, greater energy levels and improved physical health. These are some advanced meditation gains. You would also feel a sense of inner peace within yourself, and be a master of your emotions. So what are you waiting for? Start meditating TODAY, and set yourself up for a day of enhanced focus, heightened creativity and greater happiness! If you are really interested in meditation, I have two suggestions for you: One option is DIY and is free. You would have to pay a little for the other option, but it lets you ‘cheat’ at meditation. That is all from me today. Please share if you find this useful, and if you have any questions or comments on this topic please let me know in the comment box below and I WILL get back to you as soon as I can. Thank you for reading! Love your site, a great way to start a day. I do meditation everywhere I go. When I meditate I listen to FenSwe music and Japanese garden sounds, very relaxing. A new bookmark for my collection. Good for you, Alberto. Keep meditating daily! How long do you think I need to spend on meditating? I have a busy work schedule week and I just don’t stop and think and relax. When I think about putting my mind at ease the more panic I get because of so many things going on especially around the Christmas season. Do reading and staying in the bus for an hour count as meditation? No, unfortunately they don’t :). You sounded very busy but I would still suggest meditation. You might ‘waste’ some time meditating, but it’ll give you the focus you require to accomplish MORE in that shorter period of time. If time really is an issue then I would suggest that you click on the last link above and try out the free (level 1) Zen12 meditation audios. All you need to do is spend 12 minutes listening to an audio recording and you get an hour’s worth of advanced meditation benefits. I really like the benefits you have listed for meditating. I would strongly suggest using more visuals in you page. Images are always good! Visuals are coming real soon! I’m married with 2 kids and I suppose like most people in my position life’s quite hectic and I’ve been finding myself getting stressed. 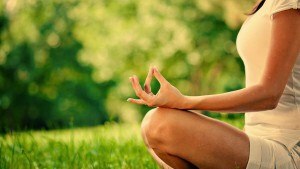 So I had been thinking of trying meditation and after reading this page it sounds well worth the benefits. I also read your DIY guide to meditation which was very informative. Is there a time of day when meditation is most effective? For the sake of convenience before bed would be good for me, is that ok? Morning and night time is my habit, but really any time can be a good time for meditation. Morning meditation, though, sets you up for the entire day, while night time meditation can lead to a GREAT sleep. I usually have stressful days with school and work. I think this would really help out! If you are 18 years of age or above (one of the requirements for listening to Zen12 meditation audios) you should click on the last link above and sample the free Zen12 audios – level 1. All you need is 12 minutes to get an hour’s worth of advanced meditation benefits. You shouldn’t cheat in school but you can here!